Choosing the right pediatrician for your child is not easy. You have to consider qualifications, distance, personality, quality and flexibility in the office in which the doctor works, costs, and, of course, attitude. None of the pediatricians in our group are perfect for everybody, but each is just right for someone. All are well qualified, trained and up-to-date. Each has their own special ability to connect with children and parents. As best as can be managed, they want children and their parents to be comfortable coming to the office and confident their problems will be addressed in efficient, reasonable ways. Who are the members of your practice? Our staff includes seven pediatricians, two nurse practitioners, and one diagnostician. We see new babies every day at Bayfront Health Spring Hill. If a child is sick enough to be admitted to the hospital, we prefer All Children’s Medical Center and Medical Center of Trinity. You don't have to, but you may prefer to. If you would like to meet with any of our doctors prior to delivery, just call us to work out a time to come by for a chat. We ordinarily do these during the lunch hour, but if that doesn't work for you, it may be possible to arrange another time. If you choose one of the doctors here, just give the doctor's name to the registration people at the hospital when you go in to deliver or when you preregister. They will contact us as soon as the baby is born! We begin answering the phone every Monday through Saturday at 8:00am and appointments start at 8:00am Monday through Friday and at 8:00am on Saturday. Ordinarily, on weekdays, the last appointments of the day begin at 6:00pm, but we stay open every day as late as is needed to see patients that need to be seen and have called for an appointment earlier in the day. There may be an additional fee billed for after-hours appointments. We are not open New Year’s Day, Memorial Day, Independence Day, Labor Day, Thanksgiving Day, and Christmas Day. Most patients see the same doctor most of the time. There will be times when your chosen doctor is not available and you can have appointment times with one of the other doctors or the nurse practitioners. Some families choose to see different doctors or settle on a favorite substitute. Some children, as they mature, feel more comfortable with a doctor of the same gender, and siblings don’t always agree. You get to choose, as you become acquainted with our staff and can make appointments with whichever provider you or your child prefers. Each of the providers has their own personality, but they all practice medicine in similar ways. If I have an emergency, can I just walk in and be seen? As a rule, we discourage walk in visits. If you really think it is an emergency, call us first, or if you’re really worried, go to the emergency room, which is best equipped to handle true emergencies. Patients with appointments (and that will be you, of course) deserve to be seen as close to on time as we can manage. Walk in patients will be triaged by the nurse, and if stable, will be given the next available appointment. It’s always to your and everyone else’s advantage to call for a time. What if I have a question but am not sure if I need to see the doctor? We have RNs and trained medical assistants to answer your questions during office hours. Please feel free to call at any time with any questions or concerns. If the advice line is busy, our staff will return your call within the hour (usually sooner). After hours calls will be forwarded to the physician or nurse practitioner on-call. Please limit these calls to emergencies or urgent questions that you feel cannot wait until the following day. We do have an after-hours charge for calls, unless it is connected to a visit. No, we encourage families with sick children not to sit or be in the play area side our our waiting room. After discharge from the hospital, infants are seen first when they are three to six days old. This visit concentrates on any issues from the birth time and expectations for feeding and weight gain and frequently involves one of our lactation consultants if the mom is breastfeeding. The next routine well-child exams occur at two weeks, two months, four months, six months, nine months, and twelve months. Each visit helps us answer your questions, check for appropriate development, and update immunizations. How do you handle prescription refills? Requests for prescription refills can be addressed to the advice nurse call line during office hours. Please allow 48 hours for your prescription request to be completed. Medications cannot be refilled after hours. What about camp forms, school forms or shot records? We will gladly complete these forms for you. In order to do this, your child should have had a well child visit within the past 12 months. Visits for an illness address a specific problem and are not ordinarily comprehensive enough for us to complete these forms. There is no charge for completing these forms, but please allow us 48 hours. They can be mailed or faxed, if that is what works best for you. We accept almost all major insurance plans and many of the smaller ones. We provide a list of accepted plans on our Insurance page. 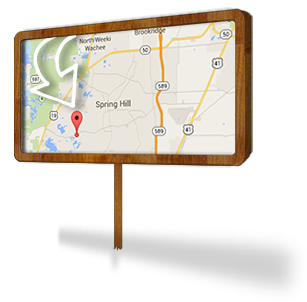 It is best to call our business office for specifics about your plan. Insurance companies' websites and online information about available providers are, as you may have discovered, frequently out of date. If you have a plan that we don't cover, perhaps we need to consider it. Let us know.